Welcome to historic Ridglea North, and the very active Ridglea North Neighborhood Association (RNNA). This wonderful neighborhood – home to families of all ages – centers around Morris E. Berney Park and is bordered by Camp Bowie on the south, Calmont on the north, Bryant Irvin on the east and Olive on the west. It is convenient to downtown Fort Worth, the Cultural District, fabulous shopping and amazing restaurants. In 1928, Ridglea was platted by real estate developers Morris E. Berney and Bernie L. Anderson, who formed the Anderson-Berney Realty & Building Company. They planned to build large, two-story homes located around and close to Morris E. Berney Park. The first homes were built in 1930, but because of the impact of the Great Depression, the Ridglea area was not substantially developed until more than a decade later. During World War II, smaller bungalows were built for families working at the Bomber Plant/Convair or Tarrant Field. In the late 1940s, the Ridglea Addition north of Camp Bowie – now known as Ridglea North –was purchased by Luther Bros. & Wilson, Inc. and a resurgence of building began in the area. 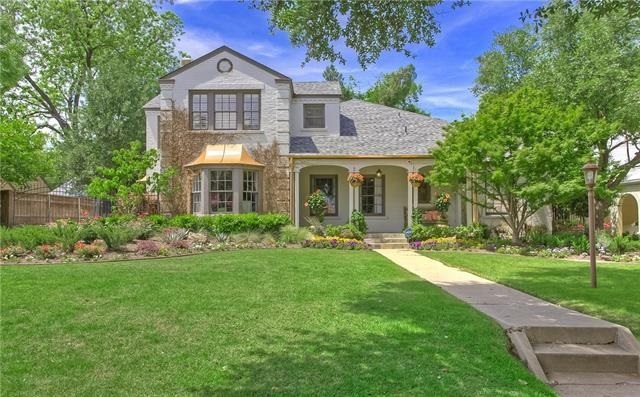 The homes in Ridglea North are a wonderful mix of architectural styles and sizes. Many of the older homes have been updated or enlarged and some have been torn down to make room for newly constructed homes. This charming mix of well-maintained homes on tree-filled lots is called home by families of all ages. Mature trees line the streets and Berney Park continues to be the heart of this lovely neighborhood. Updated Apr 20, 2019 4:48:pm. Based on information from the North Texas Real Estate Information Systems, Inc. This information is provided for consumers' personal, non-commercial use and may not be used for any purpose other than to identify prospective properties consumers may be interested in purchasing.